“If you’re out on the road, feeling lonely and so cold. All you have do is call my name and I’ll be there.” These classic words sung by Carole King could spark happiness and nostalgia in every true Gilmore-lover. 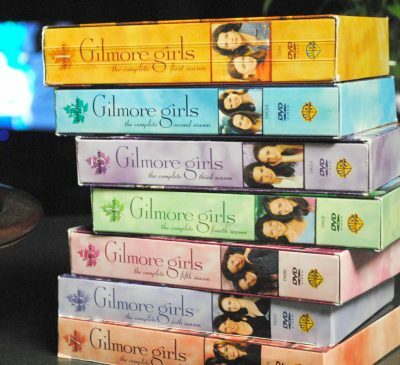 The theme song is one of the many things that makes Gilmore Girls the pop-culture drama-comedy that we all know and love. Growing up, I remember my mother watching this show weekly, she was a true fan of the series since it aired on the WB in 2000. When I was old enough, I remember joining her and it became our weekly ritual to watch the Gilmore Girls, as they graduated from Yale and opened the Dragonfly Inn. Stars Hollow was a place that I desperately wished existed. I wanted to see the gazebo, get coffee at Luke’s and participate in one of the many town events that made the place crazy, hectic and loveable. The show’s realistic characters, sometimes difficult relationships and references to pop-culture is what made it so fun to watch. Lorelai and Rory’s special bond, as not only mother and daughter but as best friends could make most of us envious, juxtaposed perfectly to Lorelai’s and her mother Emily’s estranged relationship. Each of the show’s characters were well realized from Scott Patterson as Luke to fan-favorite Sean Gunn as the lovable and often misguided Kirk. Whether it was one of his many jobs or the time he crashed a car into the diner, he was unusual and extremely well realized. Even characters unliked for their presence, (cough) Luke’s out of nowhere daughter April (cough), it was hard not to be enticed by the people populating the show. The seven seasons for this show weren’t enough, especially with the loss of the show’s creator Amy-Sherman Palladino. In 2006 after the show’s network changed from the WB to the CW, Palladino could not come to an agreement with the network and did not renew her contract for the seventh season. This resulted in David Stephen Rosenthal, a former writer and producer on the show, taking her place in the Stars Hollow hierarchy. We still got to see our favourite characters walk the streets of Stars Hollow and get into their usual antics, but it wasn’t the same. With Palladino’s creative flair missing, a little piece of the character’s left with her. Whether it was when Lorelai and Christopher eloped in Paris, or Rory saying no to Logan’s proposal, many of the choices were just so unfitting for the characters that we had grown to love. When the show was cancelled after seven seasons, many fans, myself included, were left unsatisfied with the rushed ending. The final scene of Lorelai and Rory sitting at Luke’s, imitating the classic shot from the first episode, is a nice reference but didn’t tie up all of the loose ends we were left with. Notorious for their fast-talking and coffee addiction, I can’t wait to see Lorelai and Rory back at Luke’s in all their glory. Hopefully this new four-part Netflix original series (back with Palladino) will give us the ending the show truly deserved. I mean oy with the poodles already!